When you talk about a player having 30 points, 9 rebounds and 5 assists, you would think that that player dominated that respective game. Those are some beasty numbers. When you talk about a player AVERAGING these same numbers in a five game series…WHEW! LeBron did that in this NBA Finals series, on his way to grabbing the Bill Russell Finals MVP Trophy. 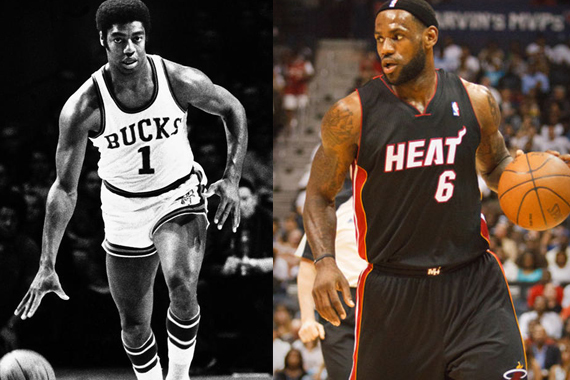 The only other player to accomplish this feat was legendary hall-of-famer Oscar Robertson. In 1963, the “Big O” ridiculously averaged 31.8 ppg, 13.0 rpg and 9.0 apg. 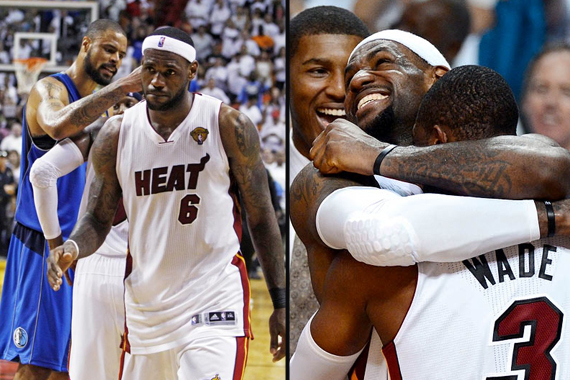 When it was time for LeBron to make “The Decision,” the opportunity to team up with two of the league’s best in Dwyane Wade and Chris Bosh was too good to pass up. But we cannot forget about the steadiness of Mario Chalmers, the defensive prowess of Shane Battier, the bench scoring of Norris Cole, the rebounding of Udonis Haslem, the spot minutes of James Jones, and the seven 3’s from Mike Miller last night. 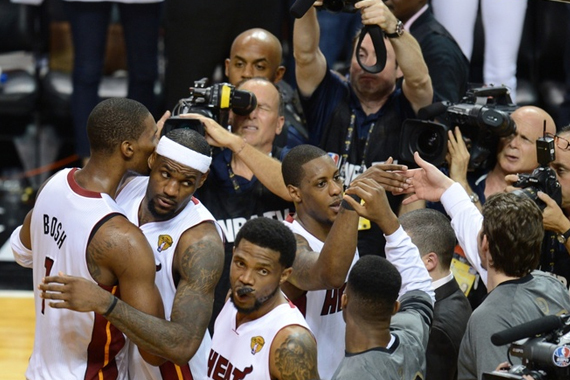 The Heat were favored to win the NBA title last year in the first year of the alliance of the big three. When they ran into the Dallas Mavericks, their odds-on favoritism went out of the window when Dallas dismantled them in six games. LeBron took the bulk of the blame because of how small he came up in that series. During last night’s press conferences, both Dwyane Wade and LeBron James admitted that although the pain from that loss was extremely significant at the time, it was the best thing that could’ve happened to them. Both stated that, “they had to go through the pain to get to this point.” It humbled them.